A mere 681 days since Target Corp. arrived in Canada, the discount retailer announced that the Canadian experiment has been a disaster – they’re taking their finery and going back to the United States. Fashionistas are torn; on the one hand, Canadians who had enjoyed shopping in “Tar-zhay” in U.S. outlets were delighted to have the option to purchase brands like Merona, Xhiliration, Mossimo, and Up and Up. On the other hand, customers complained that the prices were too high, and selection was limited. Target never really seemed to make an effort to update the former Zellers locations they operated, and failed to include an e-commerce site for Canadian deliveries. Target, after just two years and an overall $7-billion investment, expects to close all 133 stores within 16 to 20 weeks, with 17,600 employees losing their jobs. 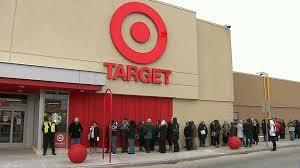 Target had a shaky start-up, losing nearly $1-billion in just its first fiscal year in Canada. By the end of January 2015, their pre-tax operating losses will exceed $5.4-billion (U.S.), from an opening investment of more than $7-billion since 2011. Beyond the inconvenience to those who need their shopping fix, that’s a lot of people – over 18,000 – who are going to be looking for new jobs by the beginning of summer … when students will be competing for those same jobs. 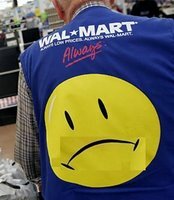 When you consider that Canada created fewer than 175,000 net jobs in all of 2013 (not including December 2013,) I wouldn’t be counting on seeing a lot of Wal-Mart happy faces come May 2015. Before firing Gregg Steinhafel as CEO earlier in 2014, Target’s board cut his pay and slashed his severance package. He would only get $15.9 million as a golden handshake, or so said a recent regulatory filing. 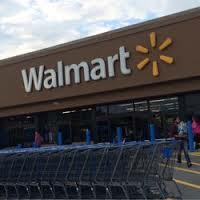 But according to Fortune magazine, his actual severance, which includes profit sharing and stock, will amount to $61 million USD, greater than the severance package for all 17,000+ Canadian Target employees combined ($58 million USD).